Rana Daggubati is known to have good rapports with several stars, especially Allu Arjun. Yesterday, at the Sensation concert which took place at Gachibowli Stadium in Hyderabad, the stars were seen bonding big time. 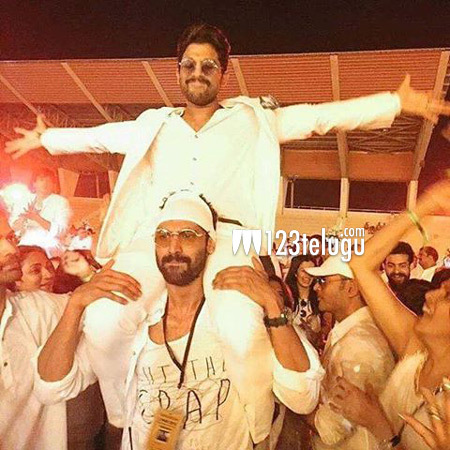 Rana shared this picture above which shows him carrying the stylish star on his shoulders. The picture went viral all over the social media within a few minutes of Rana sharing it.